This is a many layered album, almost to the point of being cluttered, but this is what makes it interesting. Each time you listen you can hear something new, be it a tone in Brian Davidson's wailing vocals, a riff from Julian Laxton's screaming guitar, a sequence of notes from Barry Irwin's booming bass, the change from sticks to hands on Colin Pratley's awesome drumming, or merely putting your ear right up against the speaker to feel the presence of Ramsay MacKay on the live version of 'The Homecoming'. 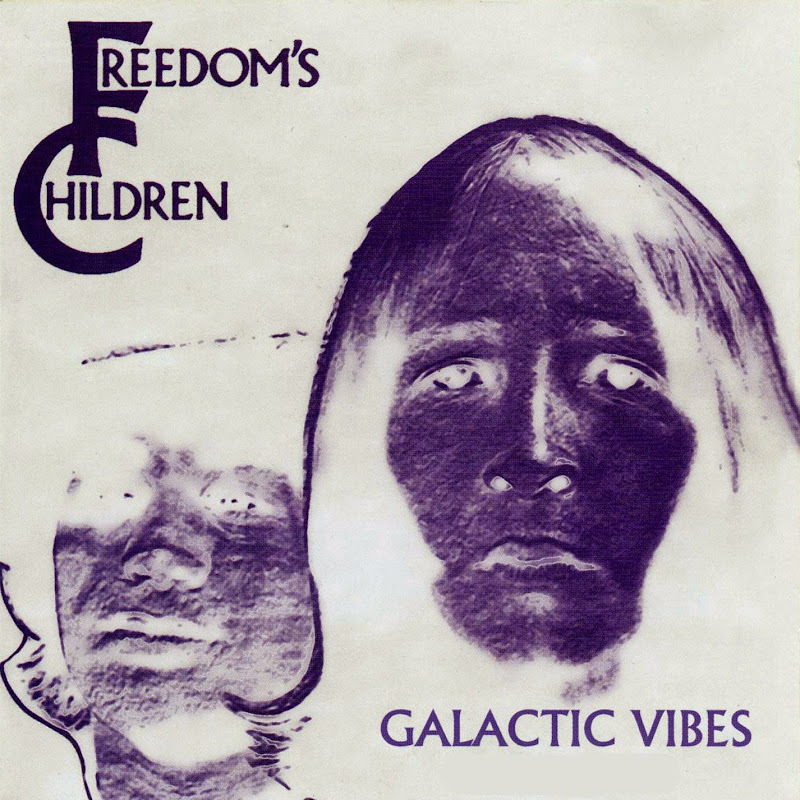 The centrepiece of Galactic Vibes does not come at the centre of the album, but is the second track. Clocking in at over 16 minutes (that a third of the CD's playing time) is 'The Homecoming'. The shorter version appeared on 'Astra', but this live version has to be one of South Africa's epic tracks. Recorded live at the Out of Town Club (which according to a copy of their flyer in the sleeve notes, advertised a Steak Parlour), the track features a quite stunning and by all accounts legendary drum solo that lasts for the best part of 8 minutes before those dramatic guitar chords herald the return of the rest of the band. Aside from this monstrous drumfest, the album features some blistering fuzzy edged guitars on the thundering 'That Did It' as well as the quieter and beautiful 'Fields and Me'. There is also the experimental keyboard piece 'The Crazy world of Pod: Electronic Concerto' which is just short enough not to become irritating. '1999', the single, is less busy than most of the other tracks, and is probably the most radio friendly of the lot, although the orchestration on 'About the Dove and his King' adds a beauty and quality sheen to what is quite a rough rock sound. The roughness of the album is due mainly to the inventive recording methods used. With layers of overdubs and no noise reduction, this method created what the sleeve notes describe as a 'musical mystical mist of sound'. This is a wonderful way to describe the slightly distorting guitars and vague hissing sounds. These are well preserved on the re-mastered CD as they are as essential to the album as the music. Ramsay Mackay: bass on "The Homecoming"